Reviews of releases from Remi., Ali Barter, Tkay Maidza, Boy Forever, Sans Parents, Tiny Little Houses, Venus II, HEART BEACH, Jenny Hval, Eilish Gilligan, and Teeth & Tongue. STRINE WHINE’S A-Z Survival Guide to BIGSOUND: There’s no use flying into BIGSOUND blind if you’re tryin’ to make it out alive. Let STRINE WHINE’s in-house veterans guide you through it. LEARNING HOW TO BE ALONE WITH EMMA RUSSACK: We often search for ourselves within the music we listen to because, let’s face it, nothing feels better than being understood. While Emma Russack (Official) writes about experiences personal to her, if you’re like me there’s a chance you’ll discover her music while hungover on a Saturday afternoon and exclaim, “Wow, she totally gets me!” It wasn’t long after this moment that I found myself wanting to talk to Russack, not just to pick her brain but also to speak to someone who’d sympathise with my woes, given that she’s been through a lot of them herself. So let’s get to know Russack a little better and unpack exactly what makes her so compelling. 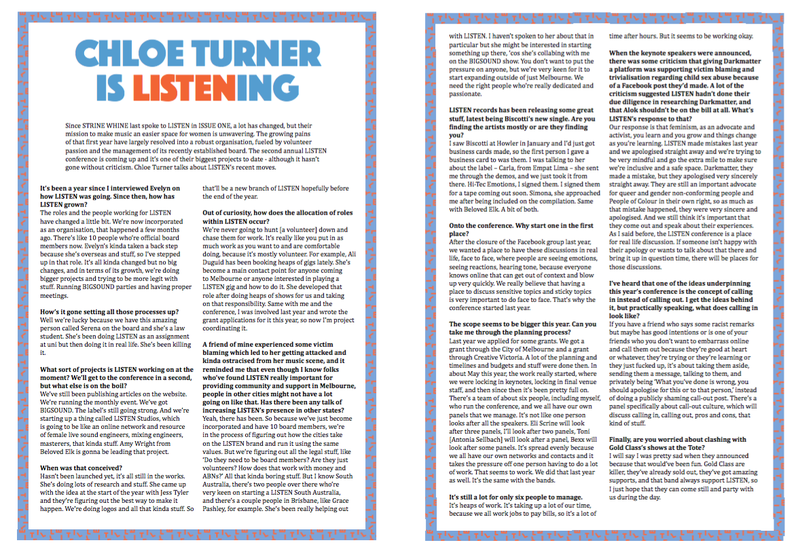 CHLOE TURNER IS LISTENING: Since STRINE WHINE last spoke to LISTEN in ISSUE ONE, a lot has changed, but their mission to make music an easier space for women is unwavering. The growing pains of that first year have largely resolved into a robust organisation, fueled by volunteer passion and the management of its recently established board. The second annual LISTEN conference is coming up and it’s one of their biggest projects to date — although it hasn’t gone without criticism. Co-director and conference project manager Chloe Turner talks about LISTEN’s recent moves. BABAGANOUJ IN MOMENTS: Life. The actor Matt Damon once said, “It’s a series of moments. Why don’t you seize yours?” The critic Tom Ewing once said, “Isolating great moments isn’t always easy or even illuminating. But it’s fun to think about.” At the dawn of Babaganouj’s new EP, it seems as good a time as any to cast one’s ears back through the catalogue of a band whose avarice for Moments has made their records and shows so damn anticipatory; you there keen as a peach just waiting for that hook or riff that always stuck with you to finally unleash. Here, now, is the definitive list ofBabaganoüj’s finest Moments. 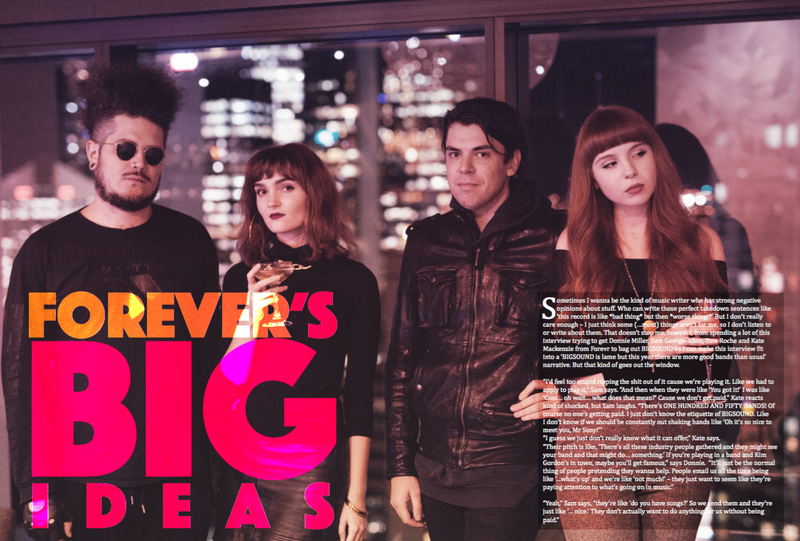 FOREVR’S BIG IDEAS: Ian Rogers called them ‘the opposite of dolewave’. Madeleine Laing calls them weird, hard, and intense. Don’t mistake that for a diss. 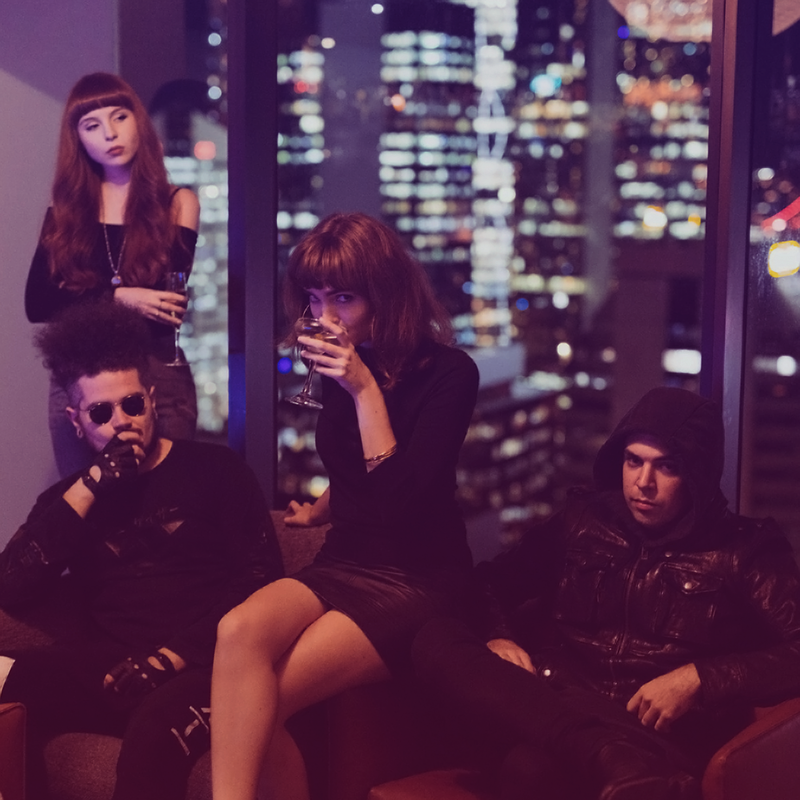 STRINE WHINE’s Brisbane correspondent turns the tape on these inventive techno-rock pop-artists. BRIEF INTERVIEWS WITH LUGUBRIOUS BOYS: Jarrow’s Dan Oke went to Nashville and back and all he got was this perspicacious record, built lyrically of hyperventilating tension and musically a balance between Brit-punk and scratchy-pop riffs. Coming out of several bands in the Footscray scene, Oke’s about to release his debut album. It’s called 2003 Dream, he finished it while on exchange in Nashville among a buncha other music freaks, and it’s real addictive. Maybe you saw him at the first Strine Whine show; maybe you’ve got him pencilled in for 20 minutes at BIGSOUND. If you haven’t, you oughta. Here’s why. Buy ISSUE THIRTEEN at STRINEWHINE.COM.